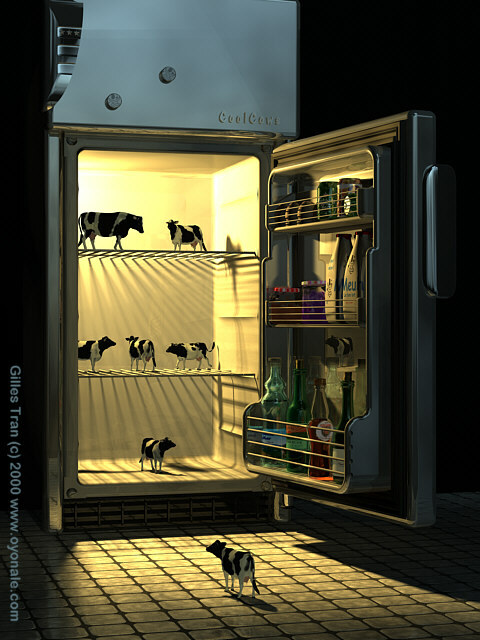 The cool cows was a second project for the deep-freeze book cover described here. The idea was adapted from Fabien Mosen's IRTC image for the Imaginary Worlds January-February 1999 round. I actually used Fabien's fridge and props for the first draft (made in a couple of hours). When this project was rejected in favour of the one with the ice cubes (to my own relief), I took the opportunity to turn it into a personal project. 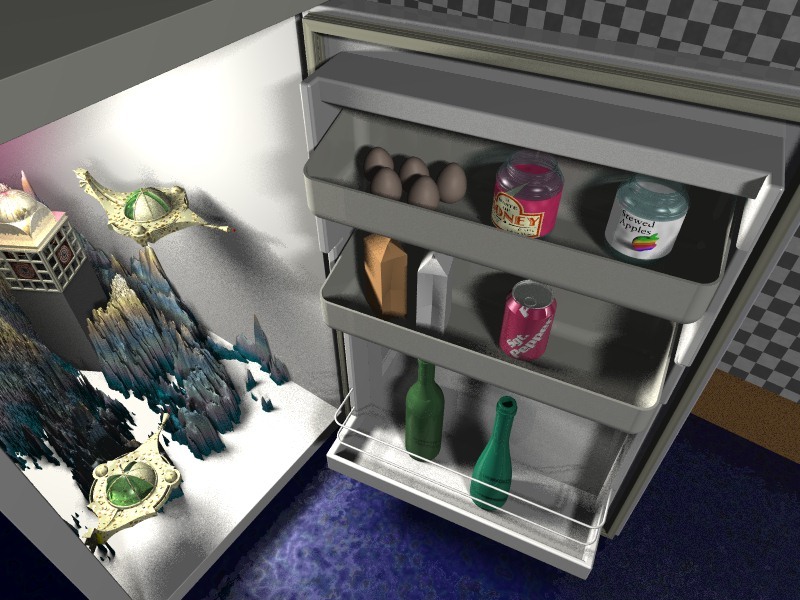 I rewrote the fridge in CSG (which took a week) and most of the original props as well. Some of the labels were found on the Internet (I put beer labels on liquor bottles apparently - I'm totally ignorant about alcoholic drinks). The milk bottles are isosurfaces. From Fabien's original material are left the eggs, the soda cans and one jar. The cows are DAZ'. This picture uses radiosity, photon mapping and area lights but wasn't too slow to render.